This design is about colors and combinations in the modern kitchen in an unpredictable yet stunning way with stylish shelves and containers in shades! 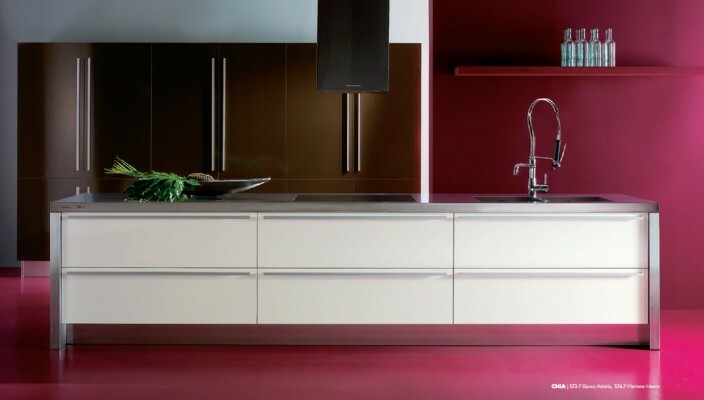 Even the most dramatic combination of colors and ideas can bring a new dimension to the kitchens of modern homes. This interior design theme is all about that. Keeping everything of the kitchen under the cover, this theme is about combining large kitchen containers and balancing the use of shelves with a color combination to die for. Stunning and creative in its own way, the design brings a fresh change to otherwise predictable kitchen themes.